While some mobile platforms are being withdrawn from the market, others are being introduced. 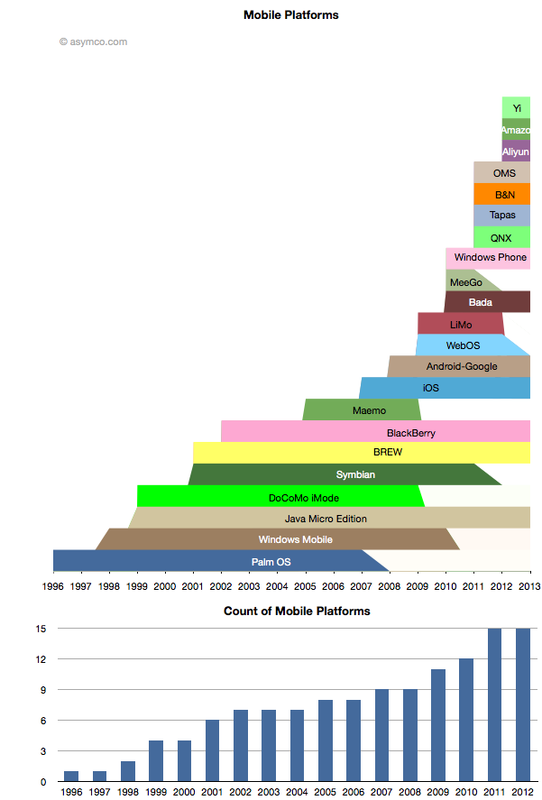 The net is that there are more mobile platforms announced for 2012 than ever before. The following chart shows the lifespan of the platforms that I can recall.